I was surprised by just how much of the story they were able to convey using mostly silent performances that were primarly choreographed dances. These dances took shape in and around the audience and often had to be dynamically shifted to work around the audience obstructing certain parts of the sets. I am so used to observing performances in films and TV as a predetermined unfolding of events in front of me, but to see things changing depending on where I stood was a very unique experience. There was a scene that took place in a hotel lobby and there were probably 20 audience members congregated around the actors performing. I noticed a set of chairs and couches nearby and I thought it would be a good vantage point to observe the scene from so I sat down on one of the couches. Later the characters walked directly into this seating area, one of them, a distraught woman with tears in her eyes seemed to be getting ready to depart from the hotel. Another character, a bellhop, came by and started moving the pillows around a bit to give me the not so subtle hint to leave the area. 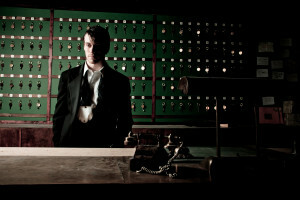 This all happened in the midst of the scene and from there the bellhop proceded to get into a quarel with the distraught woman. It was interesting the way they worked the performance around me and at times even included me in it. I can see this sort of storytelling being enhanced by the isolated experiences that VR can offer, putting you directly in the unfolding of a story without all the other audience members standing around. 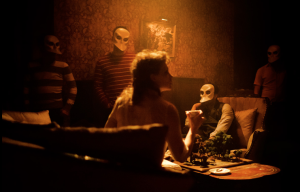 Although, even with the audience, Sleep No More uses a clever method of maintaining the atmosphere of the story by giving each member a masquarade mask, so as your gaze passes over these other people, you are not distracted or taken out of the illusion. The most impressive moments were when events transpired in unpredictable ways. It was at these times that I felt I was in the right place at the right time. A character idling about, mending a pair of pants with needle and thread only to decide after several minutes to get up and leave. Upon following them you realized that they were going to meet a woman they knew, and all of a sudden they are in this giant argument throwing things and getting upset. 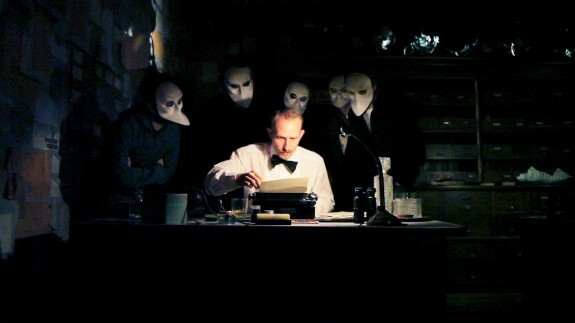 Often this would bring 2 groups of audience members together as one group was following the other character. The ability to feel a closer connection with characters as you stand beside them when they are alone contemplating, and then moving with them into this next dramatic scene is quite impressive. There was a lot of skillful orchestration to get characters meeting up at the right time, having scenes end in ways that allowed new ones to begin and bringing the audience to the key places at the exact time the most important scenes are unfolding. With VR you have the added advantage of only triggering certain key moments when the viewer looks in that direction or bringing more personal interactions between the viewer and characters. Overall I had a great experience and I was quite insprired by the show. I can definitely imagine these sort of storytelling techniques being used to great effect in virtual reality — particularly the way attention was drawn to certain characters and scenes based on movement, sounds and the blocking of scenes.